In deep, dark woods there is a beautiful live garden of Wildwood Ivy. But don't think that this is an unpleasant place; on the contrary, although it is surrounded by dark woods, the garden is the most happiest place in Wildwood. In the midst of all the wildlife, an Ivy grows and protects the garden from harm. 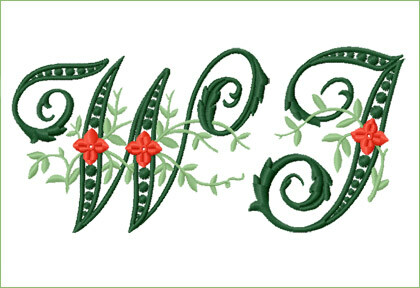 This Wildwood Ivy Alphabet tells the story from the beginning to end. 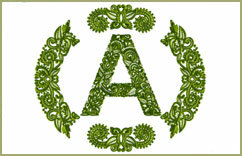 The letter itself signifies the dark forest, while the ivy grows to subdue the bristling font. 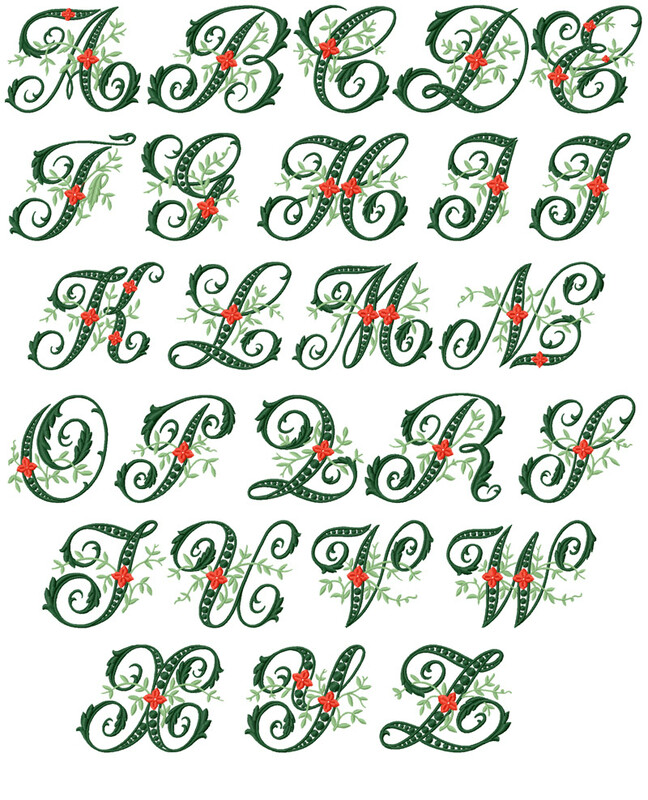 At last, each letter is gently decorated with a scarlet flower that gives it a pleasant expression. This design looks even better in real life. 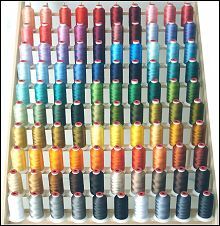 Can be embroidered on anything from linens to velour. from Nebraska Great monogram design! 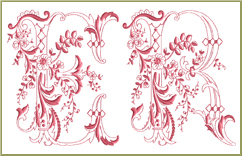 I love this font for towels. 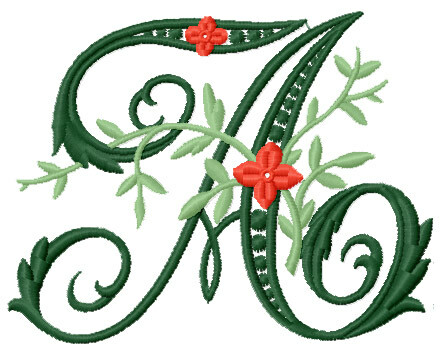 It is so pretty and different from most monograms. It stitches out beautifully.